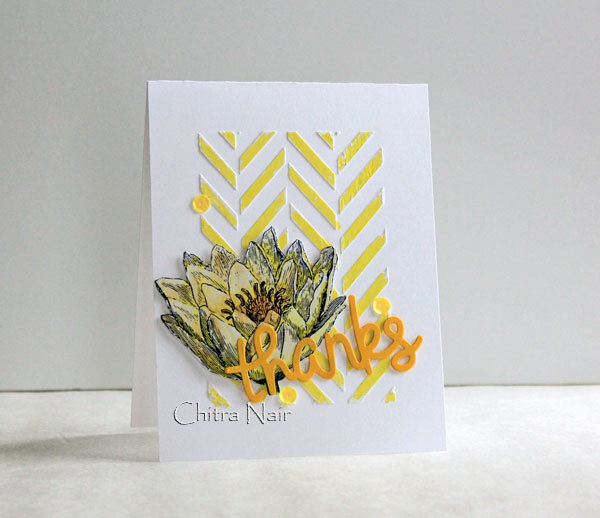 Hello friends, Its Chitra here with a card for you!! 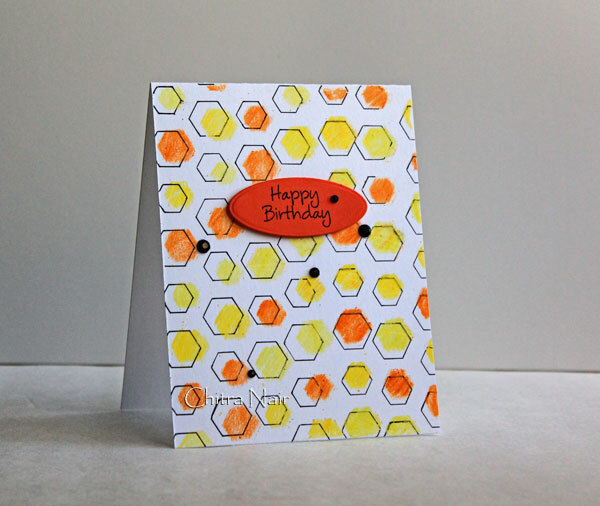 I am really enjoying this months collaboration with Clearly Besotted!! Hope you all are also having a lot of fun with all the beautiful inspirations!! There are so many amazing, gorgeous, beautiful…. stamps to choose from the shop. I choose to play with a beautiful set called Elegant Butterflies. For my card I stamped the image on Tim Holtz watercolor paper and colored using distress Inks. The Design Paper is from Bo Bunny ‘Lemonade Stand’. Sorry for the delay in getting this post up! We want to see you personalise something! 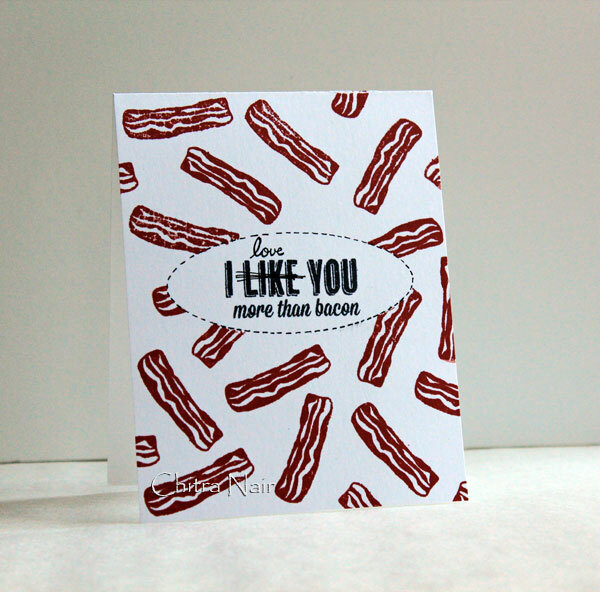 It can be a card, a notebook, anything! Let’s get straight to the inspiration from the Design Team! Add your project to the linky tool below before 5pm on the 29th January EST! 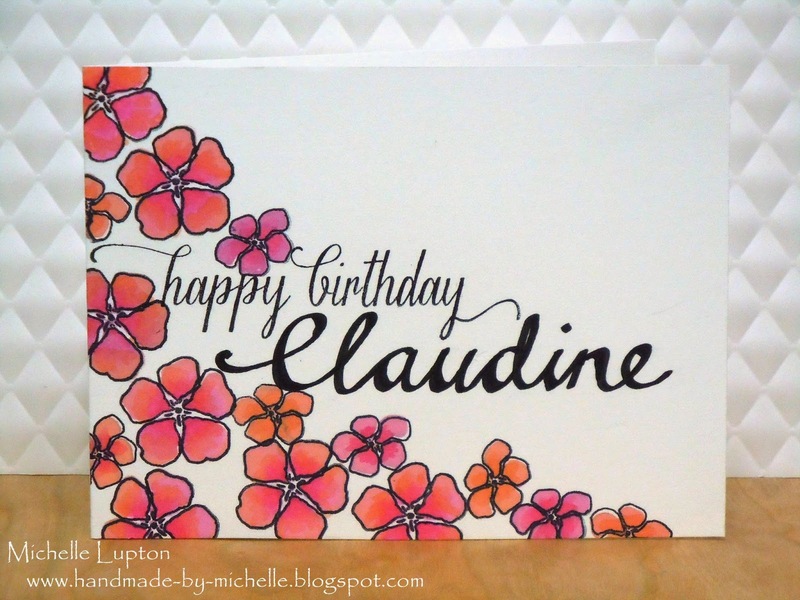 I played with one of my favorite stencil from Hero Arts called “Tweed Pattern”…. 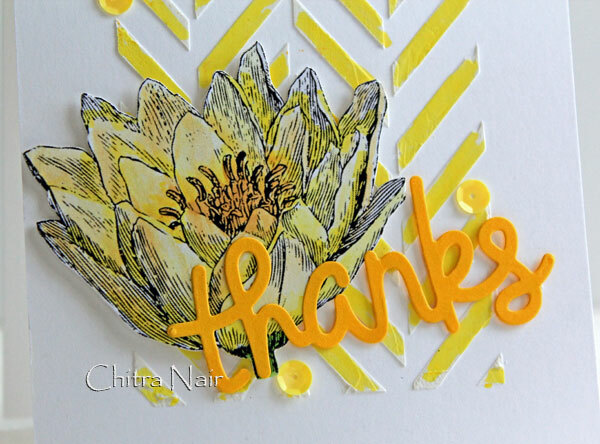 I masked the borders and placed the stencil onto the card base and applied a light coat of modeling paste on top.. Once the modeling paste was dry I applied Squeezed lemonade ink to the pattern. The image is from pretty peonies which is colored with squeezed lemonade and scattered straw. 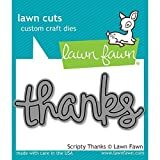 I used Lawn Fawn thanks die on sunshine cardstock from Simon Says Stamp. Finally added some sequins for embellishment..
Don’t forget to check out the current challenge for your chance to win…. Hello Friends!!! 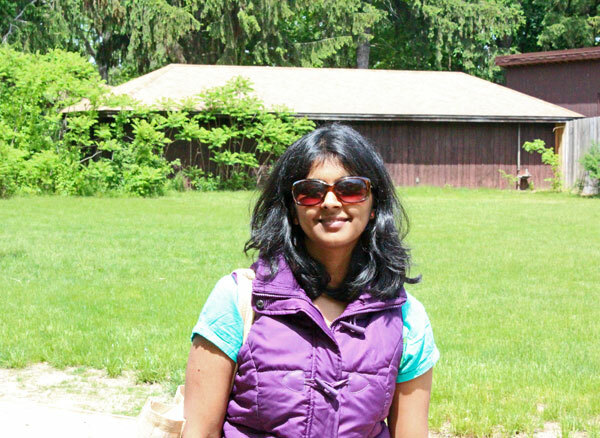 I am Chitra and I am super excited to be a part of the team for A Blog Named Hero!!! Thank you so much for this amazing opportunity!!! I live in Michigan with my husband. 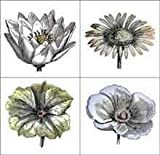 I started card-making in 2002 and since then never looked back, I love coloring so I try to incorporate some form of coloring in all my cards. My recent loved hobby is crocheting and I have started with a very simple cardigan, I also enjoy creating DIY home projects..
You can check my blog My Crafty Corner where I regularly post my projects. Here are my first cards as a Design Team member for A Blog Named Hero!!! I placed the stencil onto the card base and colored using crayons, then made the outline slightly offset using black pen. 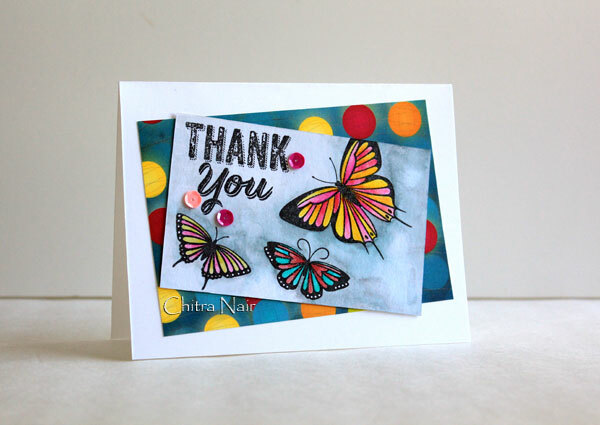 The sentiment is stamped using Memento Tuxedo Ink and embellished using rhinestones.. 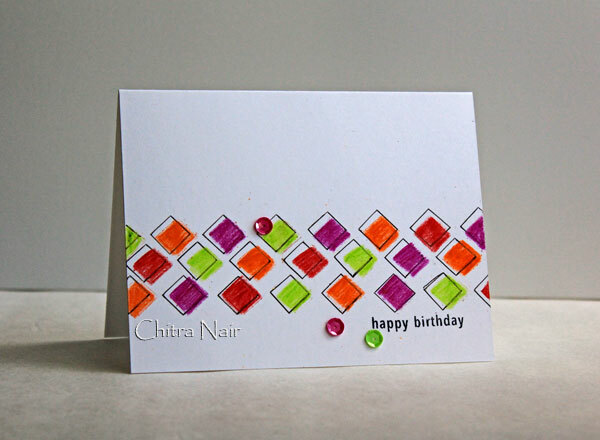 Here is another card using same technique but different pattern.. I hope you enjoyed my cards and will give it a try..